Sorry, AT&T (s T) U-verse subscribers — you will no longer have access to The Next Iron Chef or that awesome Vanilla Ice home renovation show. That’s because the IPTV provider wasn’t able to reach a deal with Scripps Networks (s SNI) to keep its stations on the air. In the latest round of public bickering over cable programming fees, Scripps has pulled Food Network, HGTV, DIY Network, Cooking Channel and GAC from AT&T’s U-verse. That means that those channels have gone dark, leaving 2.7 million U-verse viewers without all of the fantastic cooking and home renovation content they’ve come to depend on. But wait! In its statement to subscribers, AT&T offers up some alternatives. Instead of those Scripps channels, it suggests customers watch programming from TLC, Bravo, Planet Green, ION Life and CMT Pure Country instead. Now, anyone who actually watches Food Network and Bravo can tell you that one clearly is not a substitute for the other. But AT&T is making a bet that only a very small fraction of its subscribers are passionate fans of the kind of content that Scripps produces. The move is interesting, since it’s usually the programmers that suggest their viewers switch service providers in the case of a blackout. Indeed, in Scripps’ press release, the company notes that its programming is available through virtually any other cable, satellite or IPTV provider. This isn’t the first blackout that Scripps has been a part of this year; in January, the programmer pulled its networks from Cablevision (s CVC) after failing to reach a deal with the cable provider. 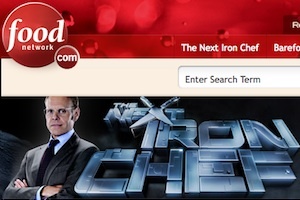 In that spat, it even ended up broadcasting some of its shows on local affiliates as a way to give viewers access to some of its content, like The Iron Chef. AT&T also has been in some tussles lately, one of which ended with the IPTV provider pulling the Hallmark Channel from its U-verse lineup after failing to reach a deal with parent Crown Media. Of course, Food Network and HGTV aren’t the Hallmark Channel; significantly more people will notice that Scripps’ networks have gone dark. In a JP Morgan-commissioned survey asking cable subscribers if they would cancel their subscription or switch providers if certain channels disappeared, about 30 percent said they would leave if Food Network and other stations they watched were taken off the air. The good news for AT&T is that these types of surveys rarely translate into real-world results. I watched 3 of the lost channels on a regular basis. However I have always quetioned why we have to pay for channels that have commercials. Better shows made more money by advertising dollars. Used to be pay channels had no commercials so it was worth paying for (maybe). Now both. Screw them, I will watch other channels. U-Verse helped me realize that as bad as Comcast is, AT&T can make things worse.